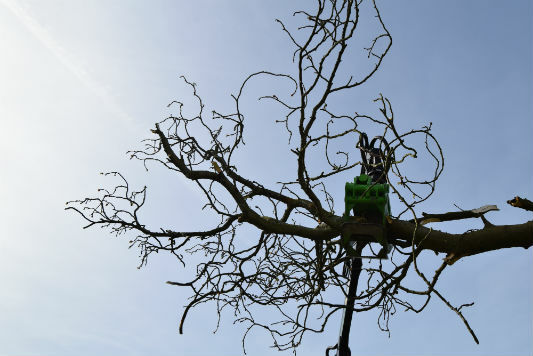 Grab and Tip Service - Holder Tree Services arboricultural specialists located in the West Sussex, East Sussex, Surrey and Kent. 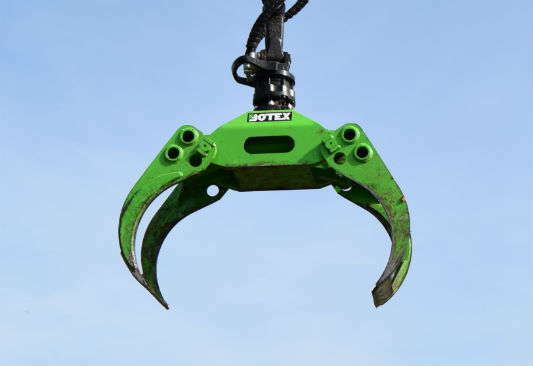 Do you need arboricultural waste removed from your site or premises? 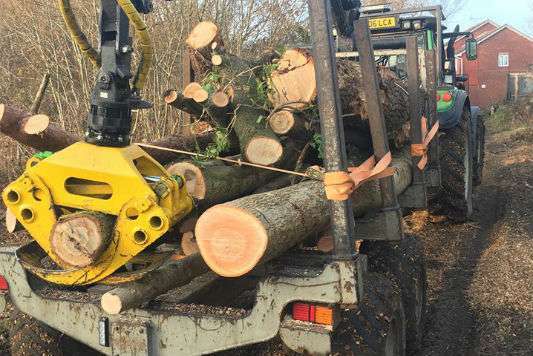 At Holder Tree Services we offer a Grab and tip service for local Tree Surgeons, Landscapers and builders wishing to move Greenwaste, logs and woodchip. This can be a cost effective method and reduces labour costs significantly. Great for hard to reach areas! With our Valtra T130 Tractor with 8Ton Hooklift trailer with Forestry crane, we have multiple options for waste removal. Drop off 8-ton container for you to fill with chip, logs or green waste. We will then pick up and dispose of. Grab and tip. You create a pile and we will come in and grab the waste for you.We have forestry grab for large logs and a clam shell bucket for wood chip. We also have large timber back for the trailer with pins to Load timber. Hire in the tractor with the trailer with an operator on a day or hourly basis. Forestry grab capable of lifting 2.5t and can feed chippers reducing manpower and reach boggy hard to reach areas. Hire in our gear for green waste collection to get them done at a faster rate so that you can keep on top of your other work. STOP turning down work because the job is too big. Our prices are competitive if not cheaper than most with skilled operators. (CSCS, ROLO, NPTC) We pride ourselves on being on time and providing excellent service. We are happy to come and price large or small jobs. Why lose the job when you could still make money out of it? If you price it into the job you will be amazed how much easier and more efficient the operation will be. We also have Tracked chippers, trailed chippers and a tracked grinder. Try us out – complete the form here.